I couldn’t resist taking this picture of my co-director Janina and one of our very talented students, Kyra Coco. Janina is helping Kyra to get up and over her standing leg. 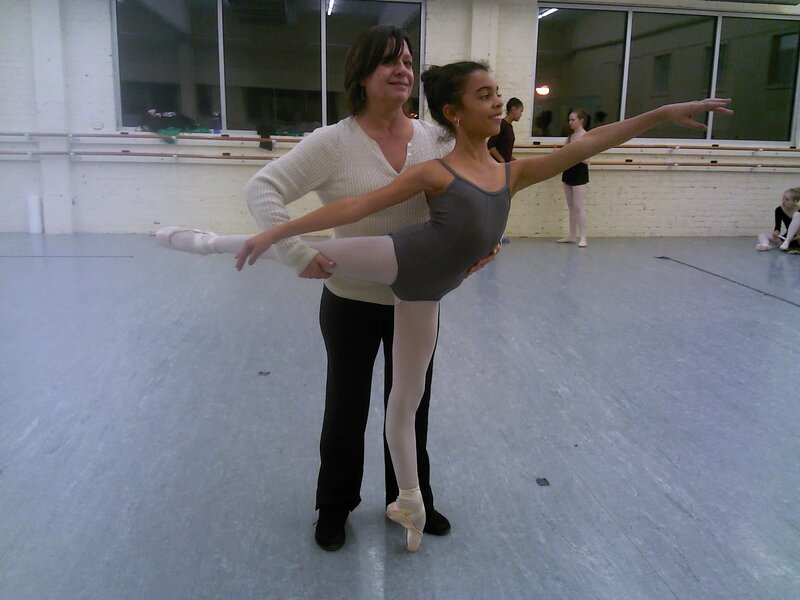 Kyra was working on an arabesque turn she does at the end of Angels in our Nutcracker.